« What Have I Done?! What a fabulous note! 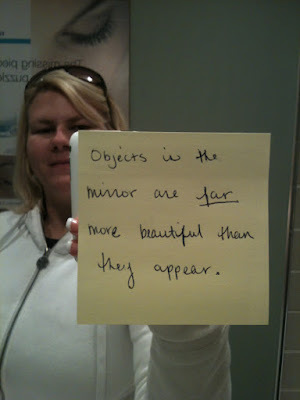 I think I shall write one for my mirror.